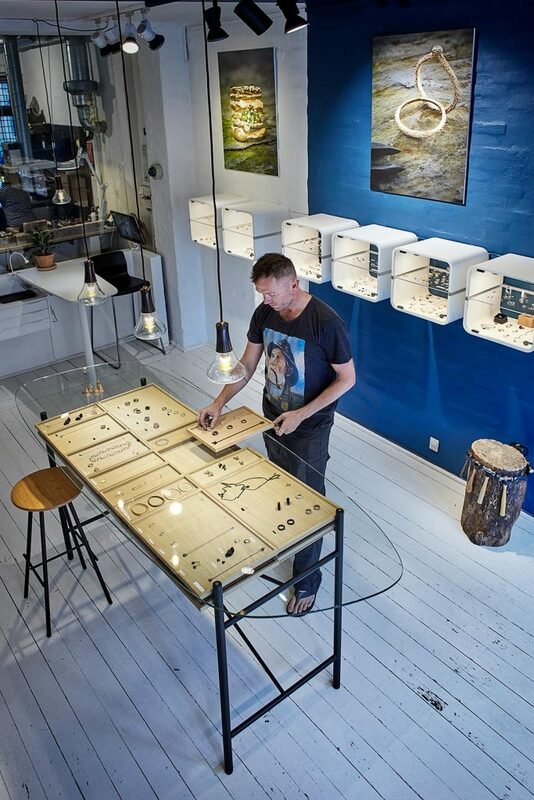 Interior rebuild and design of special Furniture. 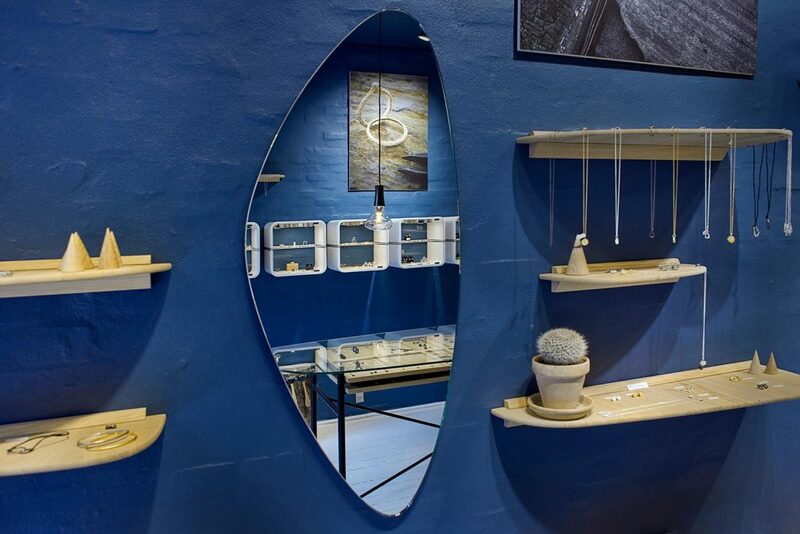 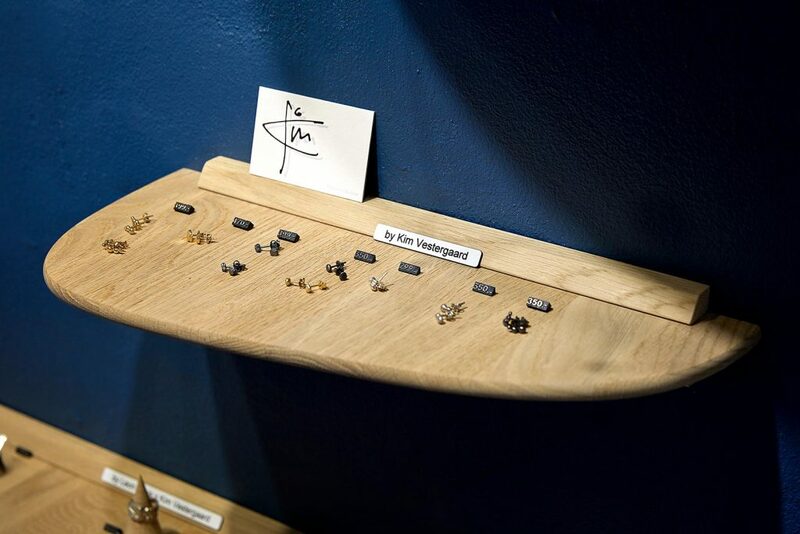 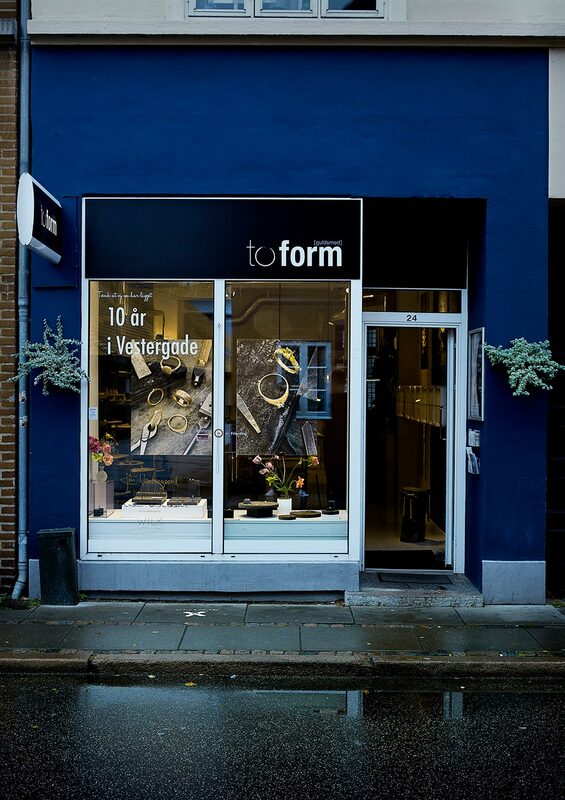 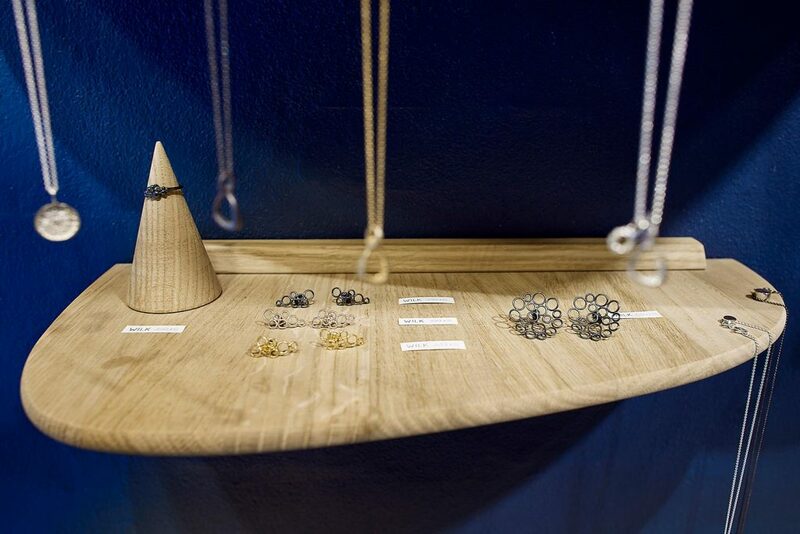 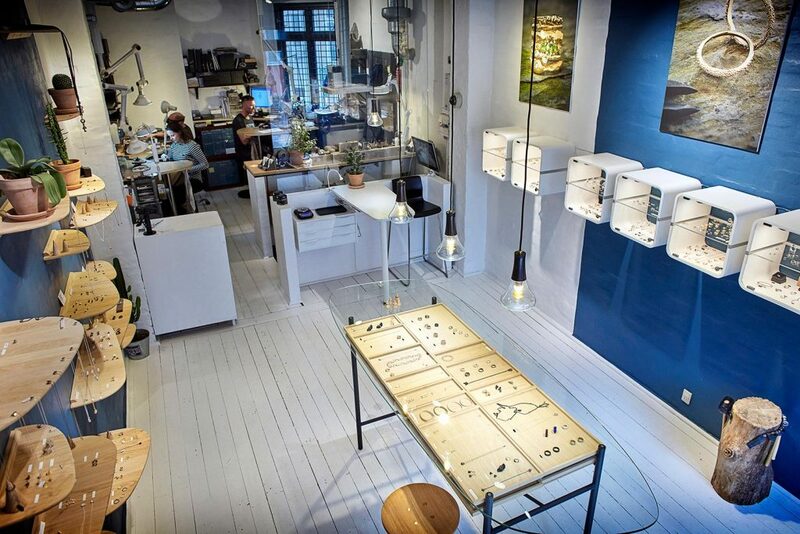 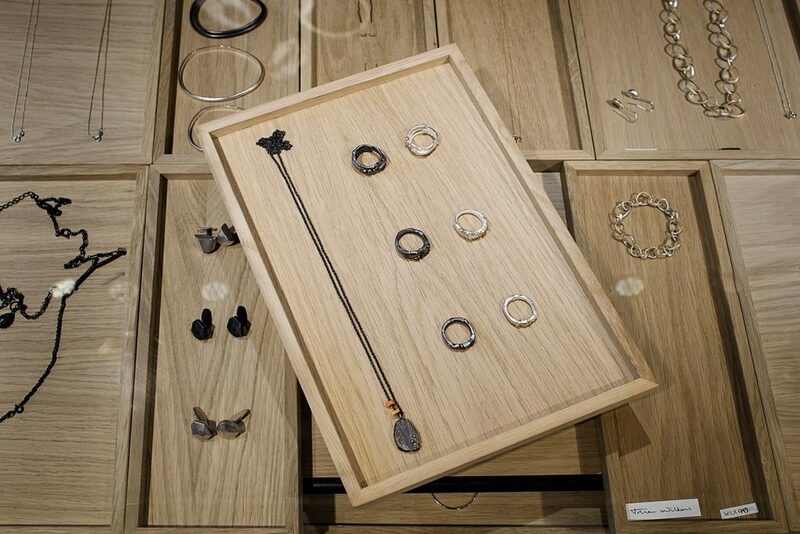 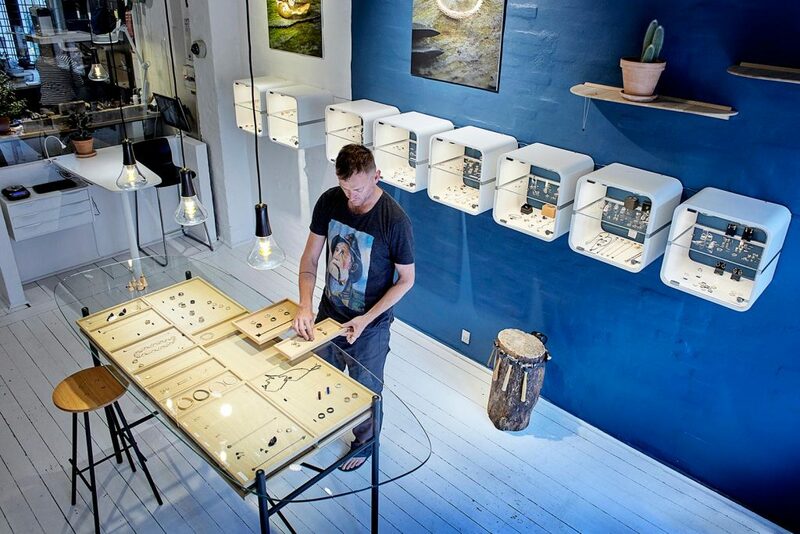 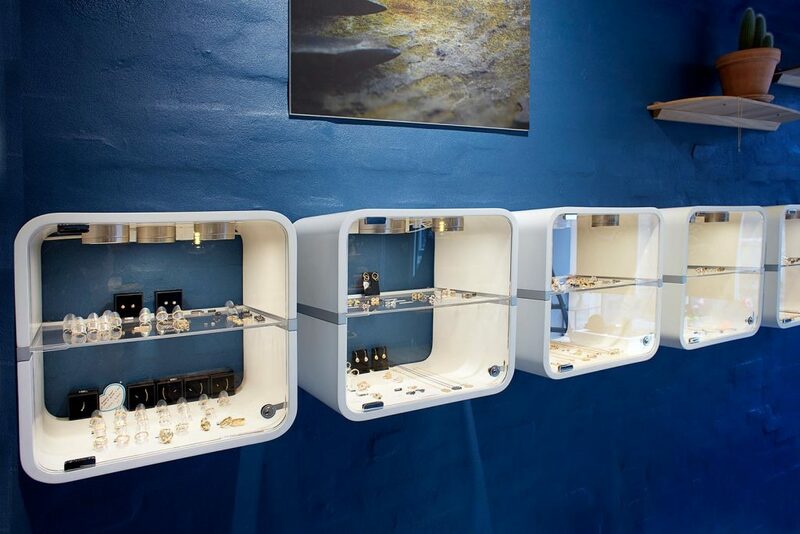 To Form is a small jeweler with own workshop located in Aarhus. 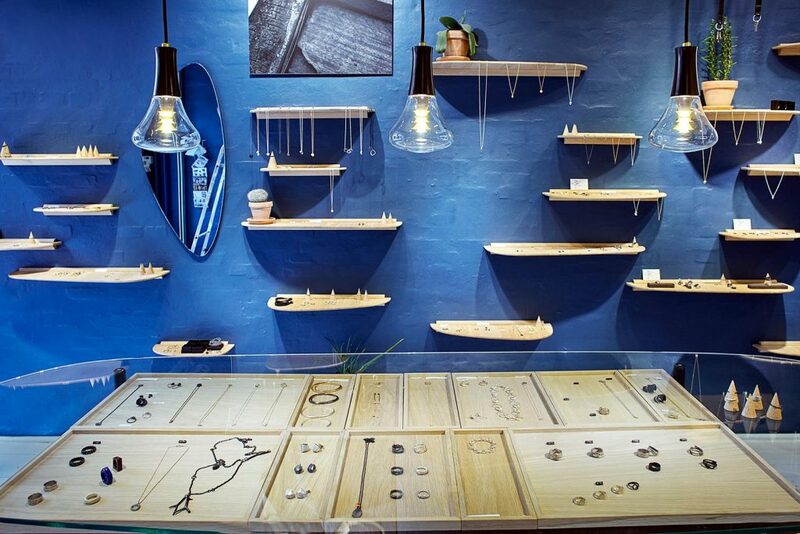 Their passion for quality and creativity is an important factor when it comes to store design. 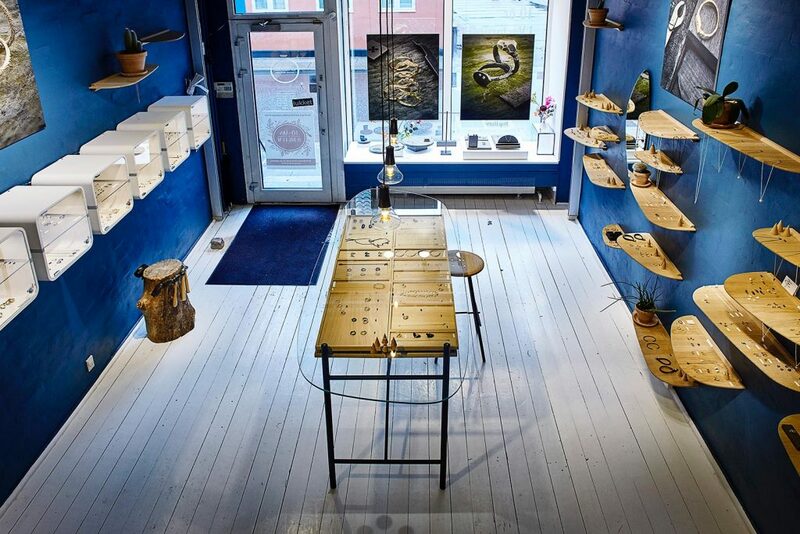 The redesigned store is combined with natural materials and industrial design. 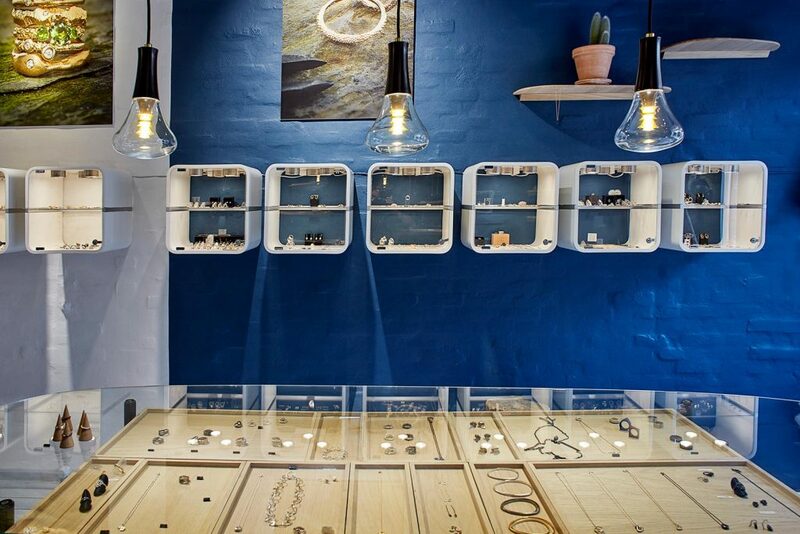 All the custom-made interior is made by local partners.